Russia's Alrosa (MCX:ALRS), the world's top diamond producer by output in carats, produced 14% more in the first half of this year than in the same period of 2016, thanks to higher grades achieved from several pipes. The Aikhal division accounted for more than a third of the company’s total output in the period. The miner, majority-owned by the Russian government, said Monday it produced 19.3-million carats of rough diamonds from the processing of 16.9-million tonnes of ore and sand. The Aikhal division accounted for more than a third of the company’s total output in the period, having extracted 6.9-million carats of rough diamonds – a 26% year-on-year increase. Alrosa noted that production from its iconic Mirny division jumped by 13% to 4.4 million carats. Output at Udachny increased by 29% to 2.1-million carats, while Nyurba yielded only 2% more to 3.4 million carats and the Lomonosov operation produced 28% more than the same period last year up to 1.2-million carats. 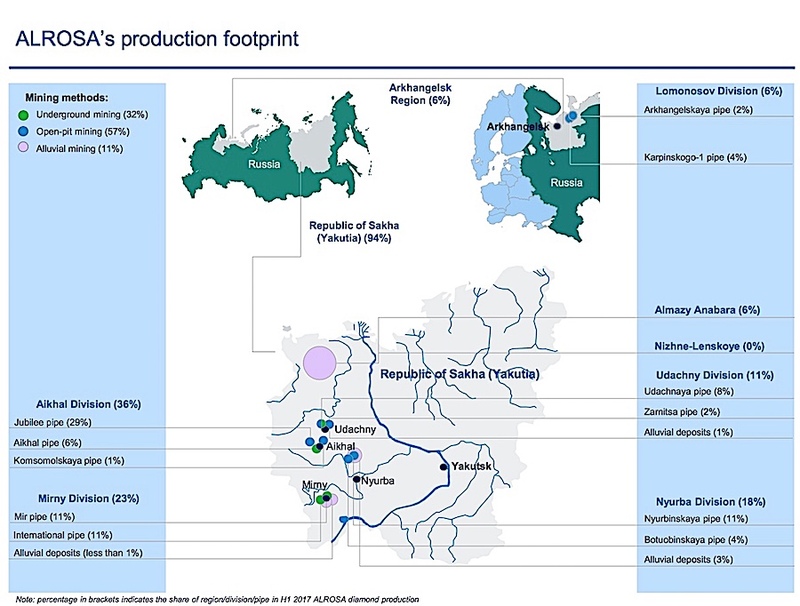 Most of those operations are based in Russia’s far eastern province of Yakutia, which also owns a stake in the company. 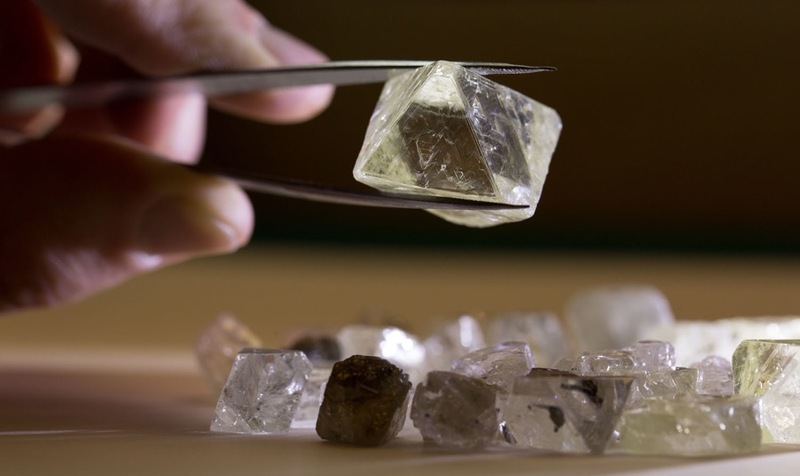 Alrosa, which expects to increase production by 6% to 39.2 million carats this year, recently appointed Sergei Ivanov, the son of a close advisor to Russian president Vladimir Putin, as its new president.